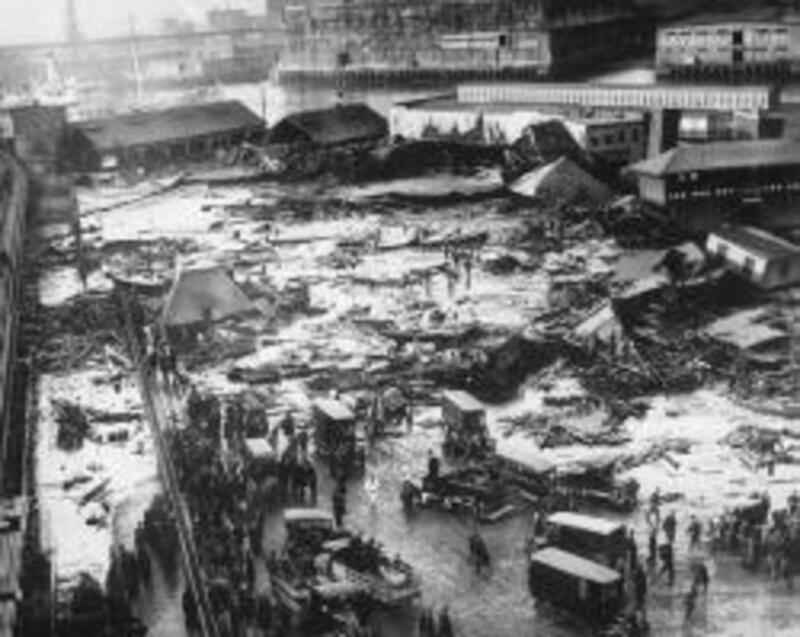 On December the 17th 1903. 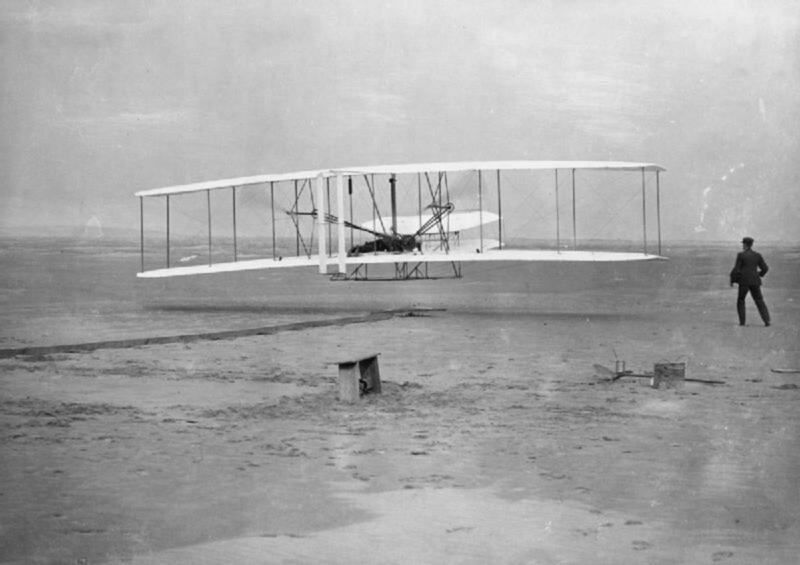 Wilbur Wright made the first powered flight which lasted for all of 12 seconds. 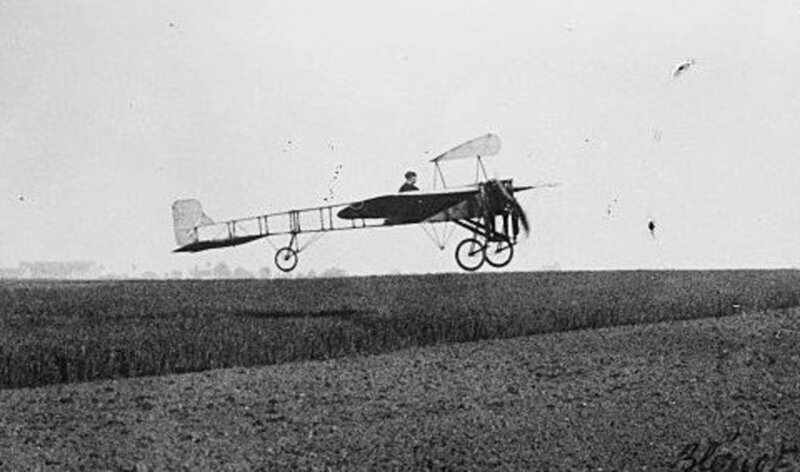 Although the aircraft flew only to the grand height of 10 feet in the air and only traveled 120 feet before landing safely on the ground, it was the first recorded powered flight by man and the birth of the first real airplane, earning Wilbur and his brother Orville and their aircraft, "The Flyer" a place in aviation History forever. 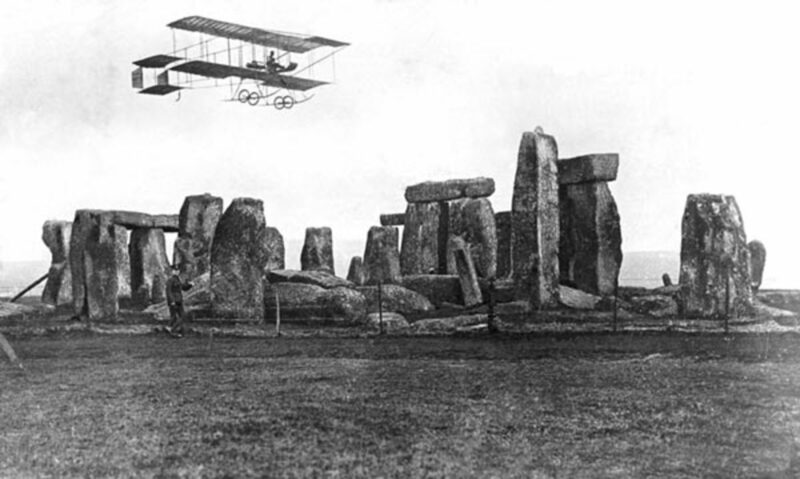 That first short flight by the Wright brothers sparked international interest and the race was on to build airplanes that could fly for longer, higher and faster. The military were also quick to jump onto the powered flight bandwagon realizing the tactical advantages that could be gained if they could have control of the air during times of war. The first recorded use of a fixed wing aircraft in a battle situation was in 1910, when Captain Bertram Dickson a Scotsman flew an aerial reconnaissance mission during army training maneuvers in a Bristol Box kite. Captain Dixon later spoke with Winston Churchill about the importance of aircraft in future warfare, a conversation that led to the formation of the British Flying Core later to become known as the R.A.F or Royal Air Force. 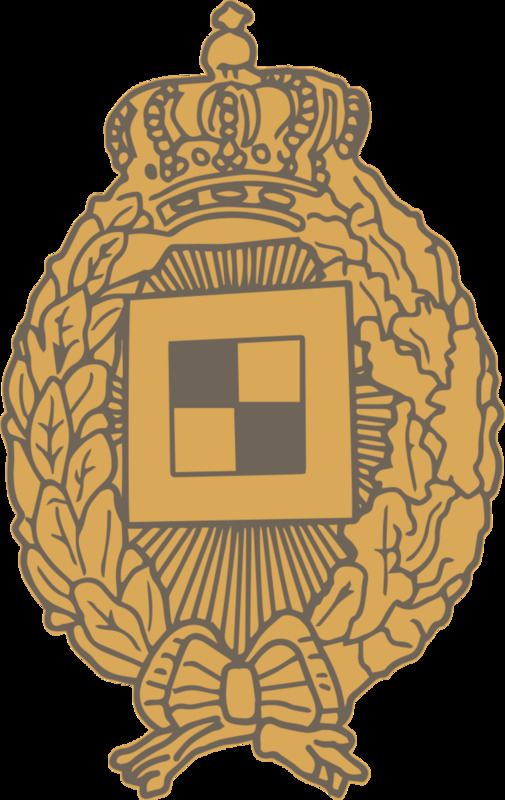 The first air to surface bombing raid was carried out on British soil in January of 1915, by German airmen flying in airships or Zeppelins. 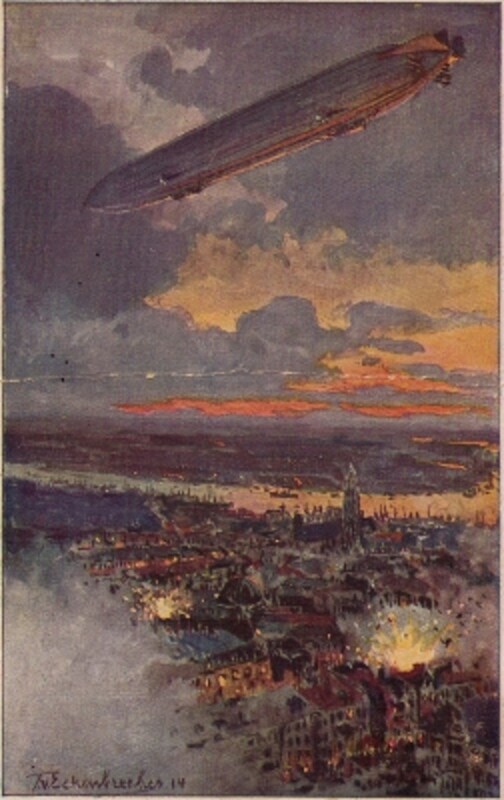 Airships could fly higher than any of the airplanes of the day so had the advantage over defending airplanes. On 23rd of October 1911, during the Italio Turkish War, Italian Captain Carlo Piazza made history's first wartime reconnaissance flight near Benghazi in a Blériot XI. Nine days later on November 1st 1911, Captain Piazza and Second Lieutenant Giulio Gavotti, flew the same plane to carry and drop 4 bombs on 2 Turkish targets, this was the first time on record that an aircraft was used in aggression during wartime. 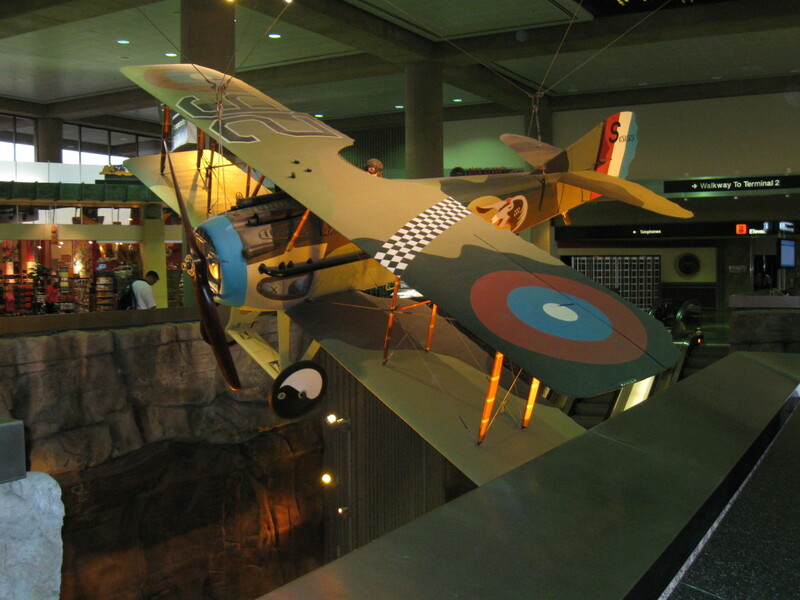 In the early stages of World War One, the role of aircraft was limited to reconnaissance flights and patrols over the enemy trenches to look for troop and weapon movement, If two enemy aircraft did meet over the skies, they would battle although with crude weapons such as hand guns or rifles, because some aircraft had canvas covers, some pilots even carried bricks to drop on enemy planes from above to try to cause enough damage that they would crash or make an emergency landing. On October 5, 1914, French pilot Louis Quenault flying aescadrille V24, opened fire on a German aircraft with a machine gun and the era of air combat was underway as more and more aircraft were fitted with machine guns. On the 19th of January 1915, Germany sent out the first bombing raid carried out by aircraft, Airships or Zeppelins flew across the English Channel and dropped bombs on Great Yarmouth and King's Lynn on the eastern coast of England. Airships had a massive advantage because they could fly at a much higher altitude than the defending airplanes and they were called silent killers because their engines were relatively silent compared to planes. 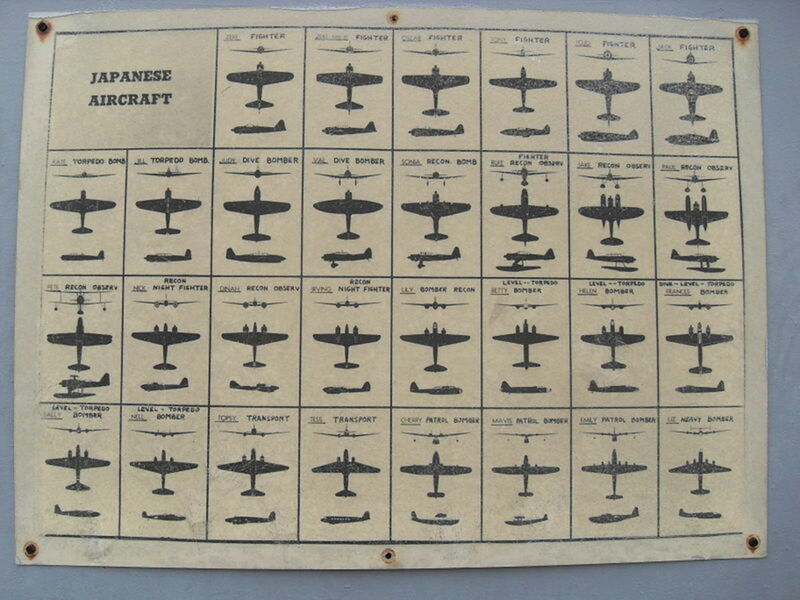 There were over 51 such bombing raids carried out over Britain over the duration of the war. Although aircraft were used throughout the war they were never classed as a major factor of World War I but the war sped up the development of aircraft. 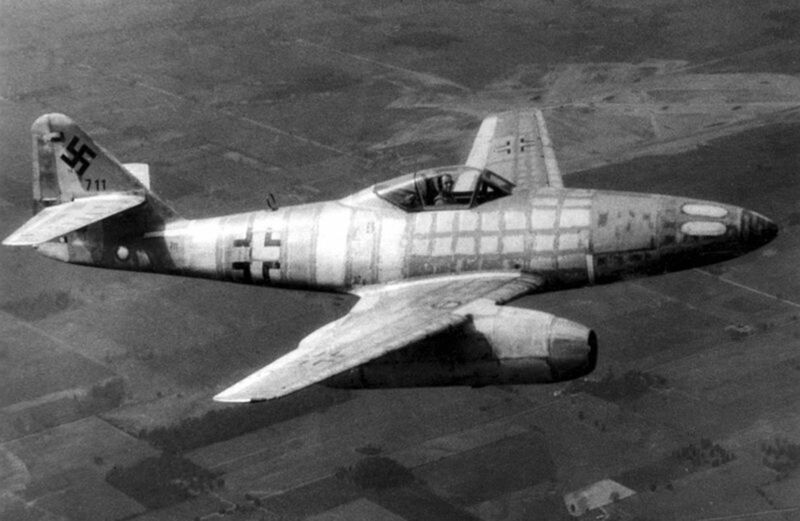 By the end of the war most countries had built up a collection of fighter aircraft and Bombers. 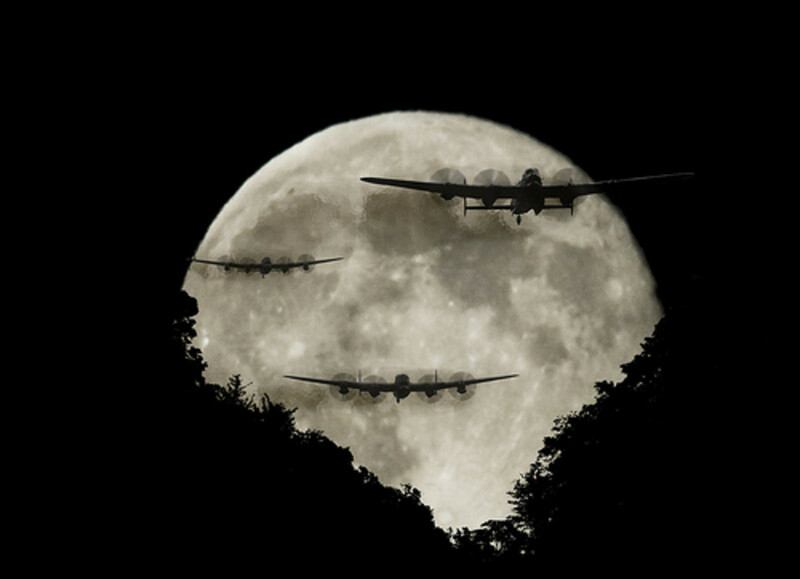 By the time World War II began in 1939, Aircraft were considered important weapons of war and air warfare began to be used on a massive scale. Airplanes were used to bomb major cities and strategic targets, Fighter aircraft flew alongside Bombers as protection against attack, Aircraft were also used to transport troops and supplies. Special aircraft carriers were built to allow aircraft to take off and land on ships so that they could help protect the fleet from an air attack and to aid in attacks on foreign shores without the need to stop for re-fueling. There were aircraft that were built to take off and land in water and aircraft specially built for reconnaissance. World War 2 also saw the birth of jet engine aircraft, rocket powered aircraft and unmanned aircraft otherwise known as Doodlebugs. Helicopters were also used in warfare for the first time during World War II, they were mainly used as supply craft and for rescue operations in the China-Burma-India theatre. Helicopters were used in warfare for the first time during World War II, they were mainly used as supply craft and for rescue operations in the China-Burma-India theatre. On August 1st 1940 Hitler signed Fuhrer Directive Number 17 Which ordered the Luftwaffe to destroy the RAF as quickly as they could. 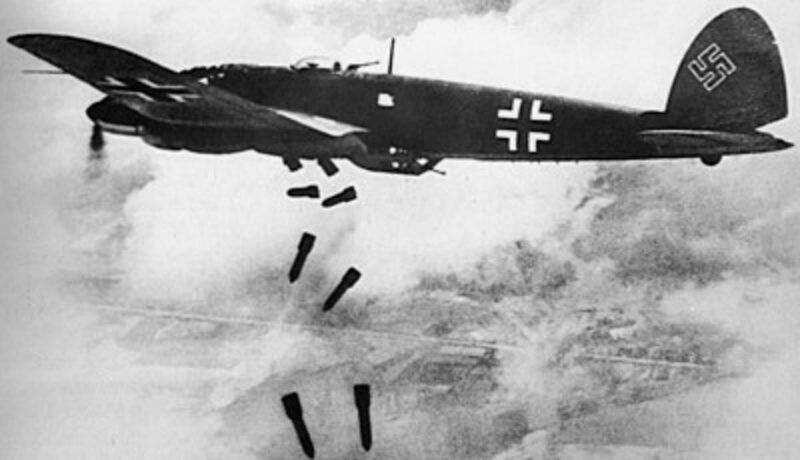 1500 German Bombers were sent over to attack the British airfields and Radar stations. Between the 8th and 13th of August. 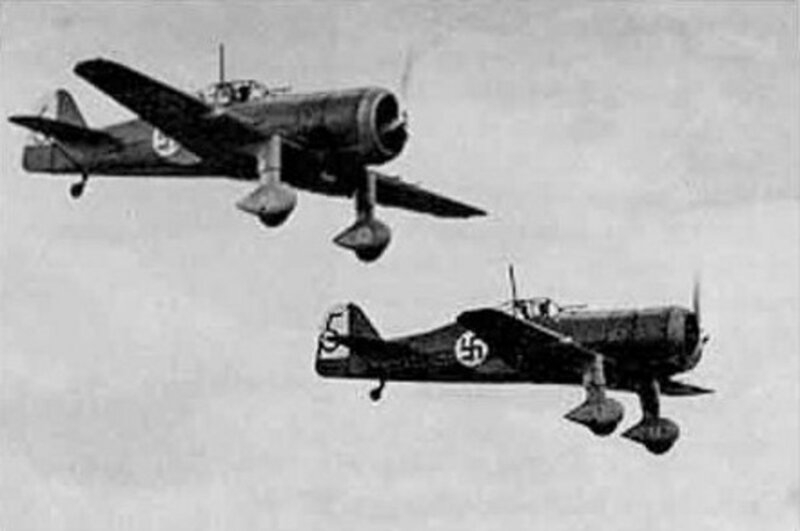 Between the 8th and 13th of August, Britain lost 88 aircraft and the Germans lost 145 aircraft, between the 13th and the 17th Britain lost a further 184 aircraft and the Germans another 255. 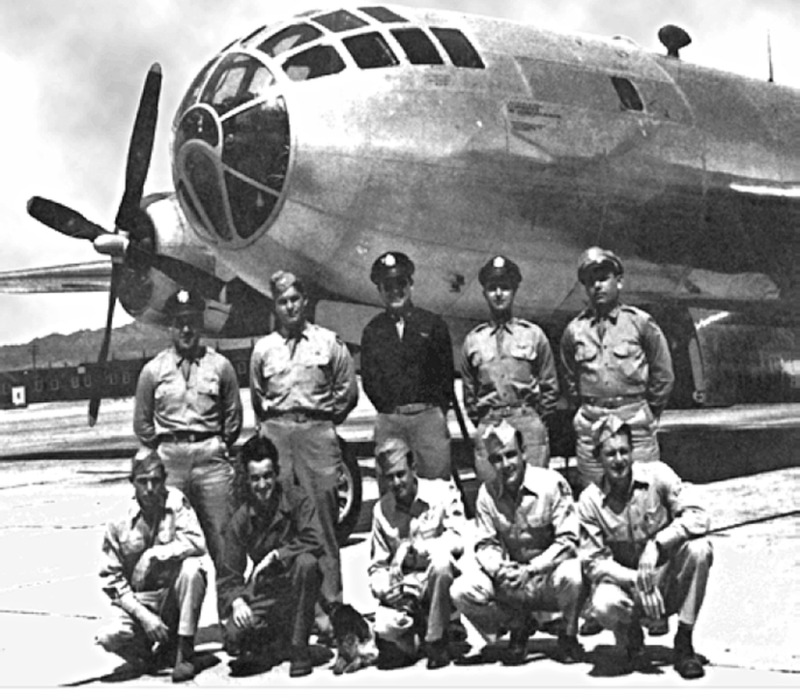 Two American Boeing B-29 Super fortress bombers and the special missions they carried out in Japan were almost totally responsible for bringing World War II to an end. The Enola Gay and The Bockscar were both armed with Atomic bombs (Nuclear), on the 6th of August 1945, the Enola Gay dropped the payload on the Japanese city of Hiroshima which resulted in almost total destruction. Three days later on the 9th of August 1945, Bockscar also dropped an atomic bomb in Japan this time in the city of Nagasaki again the result was almost total destruction. On 2nd September 1945 Having agreed in principle to unconditional surrender on 15 August 1945, Japan formally surrendered, ending World War II. Aircraft today can fly higher and faster than ever before and fighter aircraft are constantly being developed to keep up with a so far unknown enemy. In reality the next real air war could take place outside of the world with fighter planes shooting at each other in outer space and missiles being launched from satellites. My father was one of those Sikorsky air rescue chopper pilots. He also delivered supplies to the Flying Tigers. He tried out for the Tigers, but was no reactive enough to pass the test. They were a VERY elite group. Very nice material! 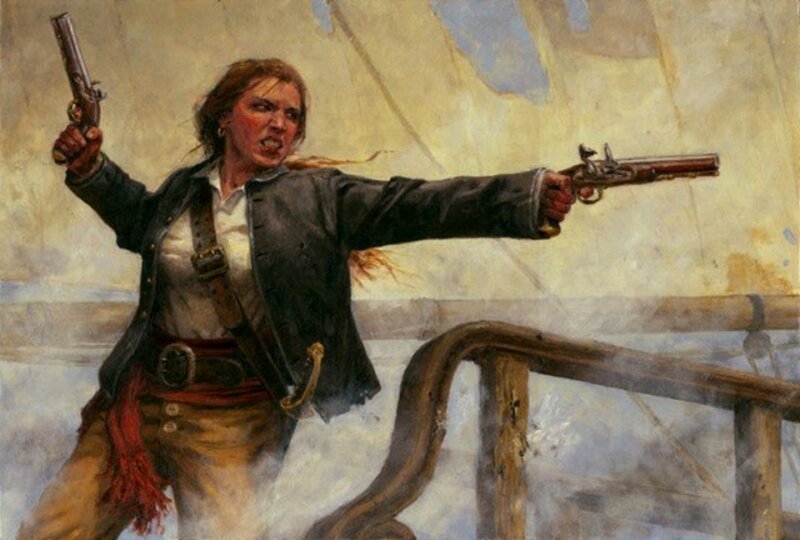 You made history so exciting to read on this topic. I learned much today from your sharing. Hey nice job on the hub! You really did a great job covering the topic. Very interesting information. I remember learning about the Wright brothers in grade school. I can't even imagine what it would have been like to be them. I am sure that people thought they were crazy. Now look at us. Aircraft has come a long way since then. This is fascinating information with great photographs. Thanks so much. One of my customers is a WW2 flight simulator called Aces High...I've written about a lot of these planes....interesting stuff my friend.